From 6-11 October 2016, Cape Town will host the Mobility Indaba at Kenilworth Racecourse. The five-day event will focus on how to co-create a future where the focus is on mobility as a core driver of inclusive economic growth, sustainable development and societal transformation. The Mobility Indaba is an event of the Consulate General of the Kingdom of the Netherlands in Cape Town in collaboration with the City of Cape Town, Transport for Cape Town, WESGRO and Accelerate Cape Town. Cape Town has been rated the most congested city in South Africa by the 2016 TomTom Traffic Index Report. No change means an increase in traffic congestions that will not only affect the economic growth of Cape Town, but also impact those who live in and around the city. Three diverse components will run simultaneously throughout the event. – Thursday 6 and Friday 7 October: The #2Inspire “unconference” – a conference that is more than a talk shop – will gather thought leaders, activists and the voices of NMT organisations to co-create an implementable signed charter. – Saturday 8 and Sunday 9 October: The second pillar, #2Make is geared towards entrepreneurship and unlocking the potential of NMT through repair workshops, the Mobility Hack and an innovation station. – Saturday 8 and Sunday 9 October: At the third pillar, #2Show&Go, the public can look forward to the Monster BMX Show and the Learn-to-Cycle track hosted by Bicycle Empowerment Network (BEN). The Mobility Indaba is a collaborative event with sponsors including Monster Energy Drink, GoMetro, CM Telecom and Golden Arrow Bus Services. Associated partners include, BEN, The Cycling Collective, Qhubeka and Pedal Power Association, Future Cape Town, Bicycle Cities, Contested Spaces, Open Streets Cape Town and Bonga Cycling Academy. 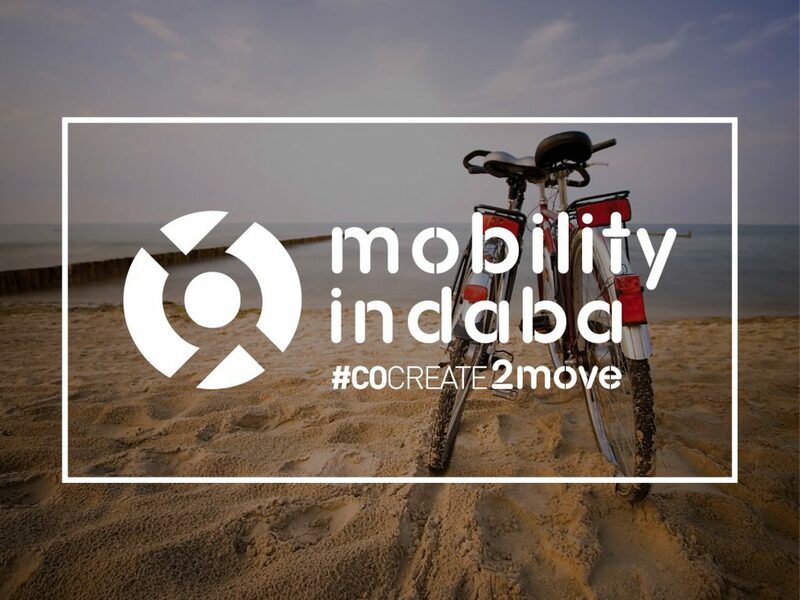 For more information about Mobility Indaba or #cocreateSA, please contact Micheline Frantz at micheline.frantz@minbuza.nl or call 078 417 2449. Follow us on Twitter, Facebook and Instagram for regular updates.